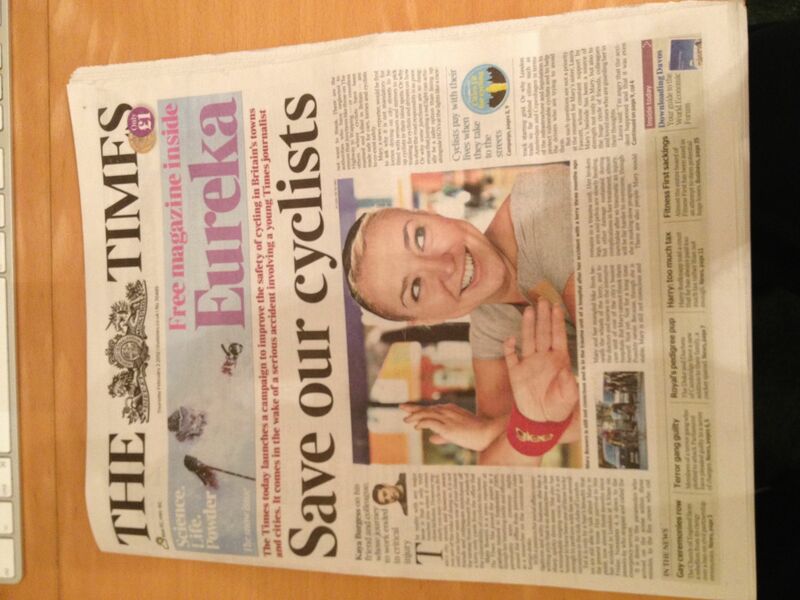 Now here’s something: a national newspaper launching a campaign to improve the safety of cycling in Britain’s towns and cities. 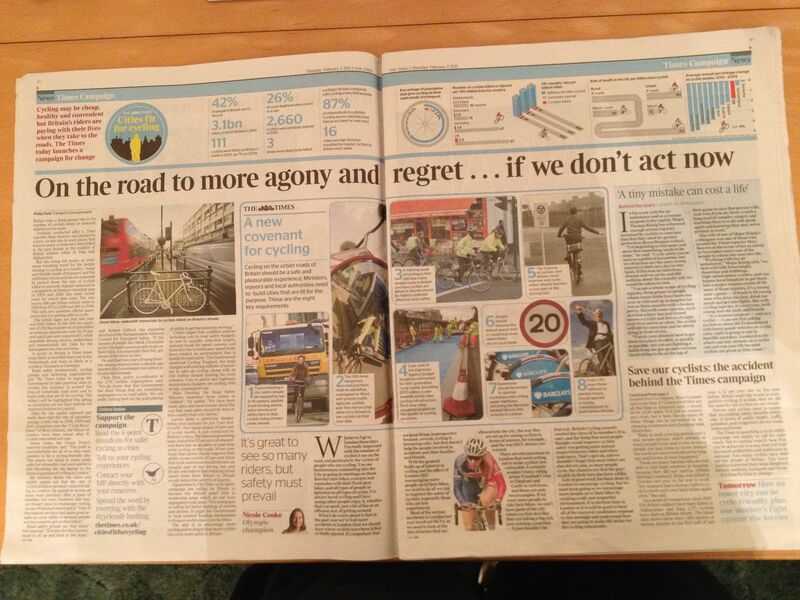 “Cities Fit For Cycling” was prompted by a road accident three months ago which has left 27-year-old cyclist and Times reporter Mary Bowers in a coma. I’m quite impressed by what’s in today’s paper. 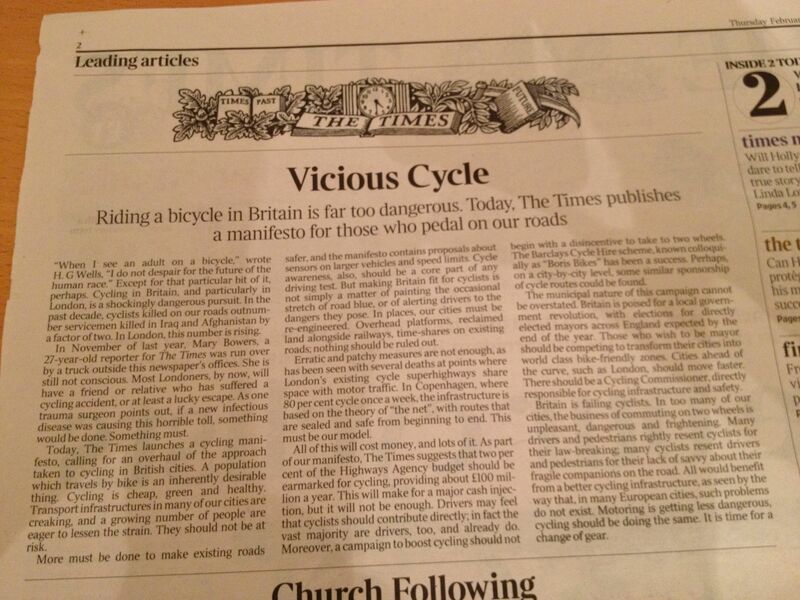 They’ve taken a simple truth – as the popularity of cycling has increased, so too has the number of accidents – and presented a thoughtful, passionate argument without verging into an anti-car polemic. It’s going to be interesting to see what kind of impact this will have. They’ve also liberated some of the articles from the paywall, so have a gander here and here. This entry was posted on	February 2, 2012 at 5:23 am	and is filed under Uncategorized.